Featured 1975 Plymouth Cars And Trucks - Section contains a collection of featured 1975 Plymouth vehicles submitted by visitors of Plymouth Zone. Own A 1975 Plymouth? 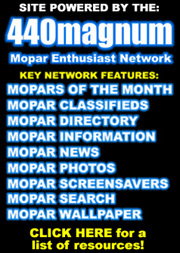 We are looking for 1975 Plymouths to add to this section. Use the submit your Plymouth link above to have yours featured or updated! Duster - 2 Door Coupe, 2 Door Sport Coupe. Duster Custom - 2 Door Coupe. Fury - 2 Door Hardtop, 4 Door Sedan. Fury Custom - 2 Door Hardtop, 4 Door Sedan. Fury Sport - 2 Door Hardtop. Gran Fury Brougham - 2 Door Hardtop, 4 Door Hardtop. Gran Fury Custom - 2 Door Hardtop, 4 Door Hardtop, 4 Door Sedan. PB100 Van - 1/2 Ton Custom Voyager, 1/2 Ton Premium Voyager, 1/2 Ton Sport Voyager, 1/2 Ton Voyager, 1/2 Ton Voyager LWB. PB200 Van - 3/4 Ton Custom Voyager, 3/4 Ton Premium Voyager, 3/4 Ton Sport Voyager, 3/4 Ton Voyager, 3/4 Ton Voyager LWB, 3/4 Ton Voyager Maxi. PB300 Van - 1 Ton Custom Voyager, 1 Ton Premium Voyager, 1 Ton Sport Voyager, 1 Ton Voyager, 1 Ton Voyager Maxi. Road Runner - 2 Door Coupe. Scamp Brougham - 2 Door Hardtop, 4 Door Sedan. Sport - 4 Door Wagon. Sport Suburban - 4 Door Wagon. Suburban - 4 Door Wagon. Trail Duster - 2 Door Utility. Valiant Brougham - 4 Door Sedan. Valiant Custom - 4 Door Sedan.